We’ve decided, with HMRC, to extend our trial of GOV.UK Verify and self-assessment further into this last week before the 31 January deadline. The trial was due to close on 27 January, but we've decided to continue to make it available further into this week so that more people can take part. We’ve taken this decision because we’re receiving positive feedback from people who’ve used the service, and we wanted to continue to make it available to people who want to choose to use GOV.UK Verify rather than waiting for new credentials to arrive in the post. So far, around 10,000 people have verified their identity using GOV.UK Verify as part of the trial. It remains a trial, so it is only available on a limited basis and we may decide to end the trial before the self-assessment deadline on Saturday, if we think that’s the best thing to do at the time. 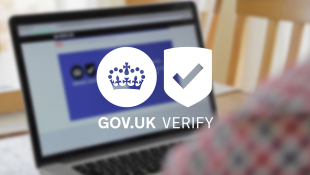 Anyone who has already verified their identity as part of the trial at the time the trial closes will still be able to sign in using their GOV.UK Verify credentials, right up to the self-assessment deadline. If you’ve lost your Government Gateway credentials and don’t want to or aren’t able to use GOV.UK Verify, you'll have a few extra days to file your self assessment return to avoid a fine, if you apply for new credentials before 31 January. You must still pay by 31 January. We’re giving users a choice to use GOV.UK Verify instead of the existing Government Gateway way of accessing self-assessment. This will be an attractive option for people who have lost their Government Gateway credentials, or haven’t yet signed up for Government Gateway, and would otherwise have to wait for things to be sent to them in the post. This trial is part of our planned gradual expansion of the number of services and people who can use GOV.UK Verify. We wanted to make GOV.UK Verify available for people who would otherwise have to wait for credentials to be sent to them in the post to access self-assessment. This will make it more convenient for people to complete their self-assessment, easier for more people to do it on time, and reduce the demand on the HMRC phone lines at their busiest time of the year. This will help us prepare for the wider rollout of GOV.UK Verify for HMRC and other services over the next year. We’ve been testing and developing GOV.UK Verify for about 2 years, with fortnightly user research sessions and continuous iteration and improvement. But there’s no substitute for learning how the service works for people when they use the service for real. GOV.UK Verify is a new, beta service. It doesn’t work for everyone yet - we are building it up over time. This is a safer, more sustainable way of introducing the service, compared with the old big-bang approach of launching a ‘finished’ product after years of development but no exposure to real users. The main constraint on who can use GOV.UK Verify right now is the range of evidence we can allow people to use to prove their identity. This range of evidence will expand over time so that more people can use the service. To use GOV.UK Verify right now, you will need a UK passport and / or UK photocard driving licence and access to your bank, credit card, loan and / or mortgage statements. We’re continuing to expand the range of ways that people can prove their identity digitally, so that more people will be able to use GOV.UK Verify. Anyone taking part in the trial can decide at any time to return to using Government Gateway instead, and they won’t be at any disadvantage compared to other people who didn’t take part in the trial. The system doesn't work. Experian, Post Office and Digidentity all accept my details and proof of identity as valid but still won't verify my identity. When I called Digidentity they suggested it's because I don't have a credit rating. Despite HMRC never saying at any point that I would need to have one. I feel like HMRC could claim anything they like from me and I would never be able to make a claim that they have taken too much, because I don't have a credit rating. Are people who don't have a credit rating not full citizens with the same rights as those who do? If we are then where is the process by which we can claim money back that should not have been taken from us? And please don't tell me to call the HMRC number. I tried that already, couldn't get through to a human being and the automated voice did not give me an option to deal with this problem. I understand that our customer support team have already contacted you direct. Do get in touch if you need anything further. Hi! Last week I was able to check in with my account, as I have not got UK passport, but now I can't verify my identity as the web only ask for my uk passport. What can I do??? Thanks. Thank you for trying GOV.UK Verify. It is a new service and is being constantly developed and improved. GOV.UK Verify may still be able to verify you with a non-UK passport if you have a UK address. If you return to the service you are trying to use and select 'Sign in with GOV.UK Verify', you will be asked what identification documents you have and will be offered the option of certified companies that may be able to verify you with a non-UK passport.